The materials we call “plastic” were developed in the 1930s and 40s and mass production began in the 1950s. Since then, the diffusion and use of different plastics have been continuously increasing and projections suggest that this trend will continue.This lightweight, durable, cost-effective and versatile material has some disadvantages that had not been foreseen. For example, many plastic objects are single use and this involves the production of a mountain of waste. 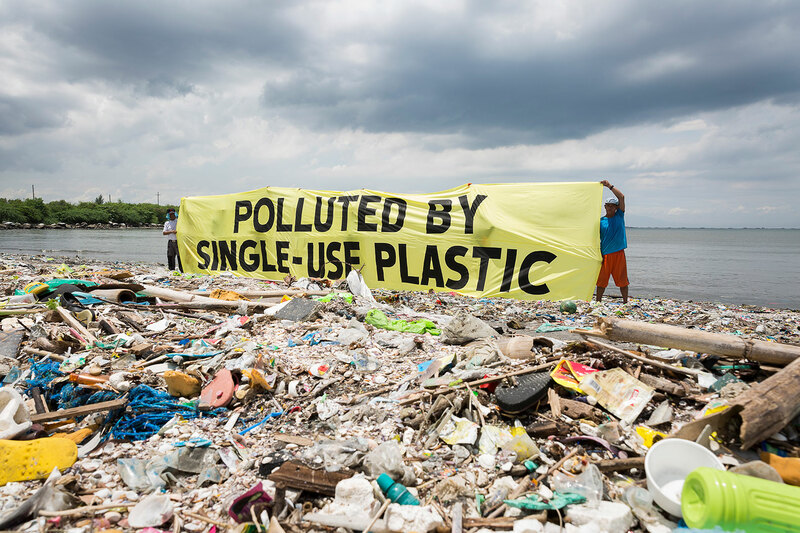 Discarded plastic can end up in landfills, can be incinerated or recycled, but a part ends up in waterways and at sea through sewage system, discharges, during transport to landfills, or through accidental spillage from ships and waste water treatment plants. Or, simply, plastic is intentionally thrown into the sea. 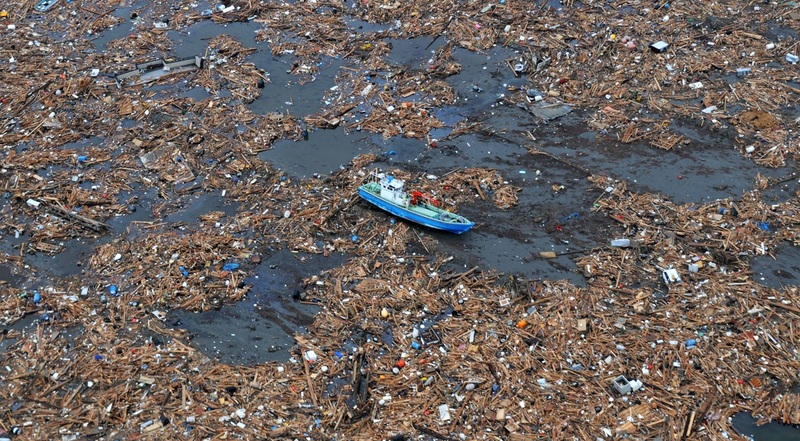 In almost 70 years, the Earth has come to have a sort of sixth undesirable continent made entirely of plastic: since it was introduced, as many as 8.3 billion tons of insoluble waste float in the oceans forming unnatural archipelagos, like the famous Pacific Trash Vortex. Pollution is not just the work of bottles, toys, envelopes and objects in general, but most of the plastic that suffocates the seas, or more than 90 percent, is in the form of microplastic: fragments of less than 5 millimeters, result of cosmetic or personal hygiene and of the deterioration of larger waste. According to an estimate by Greenpeace, in the seas of the whole planet there are between 5 and 50 billion. They are not seen with the naked eye and this is why they are more dangerous. These particles are embedded in the rocks, in the glaciers, in the seabed, in the stomach of various animals. By the year 2050, if nothing is done, the phenomenon will quadruple. In that year the oceans could contain, by weight, more plastic than fish. 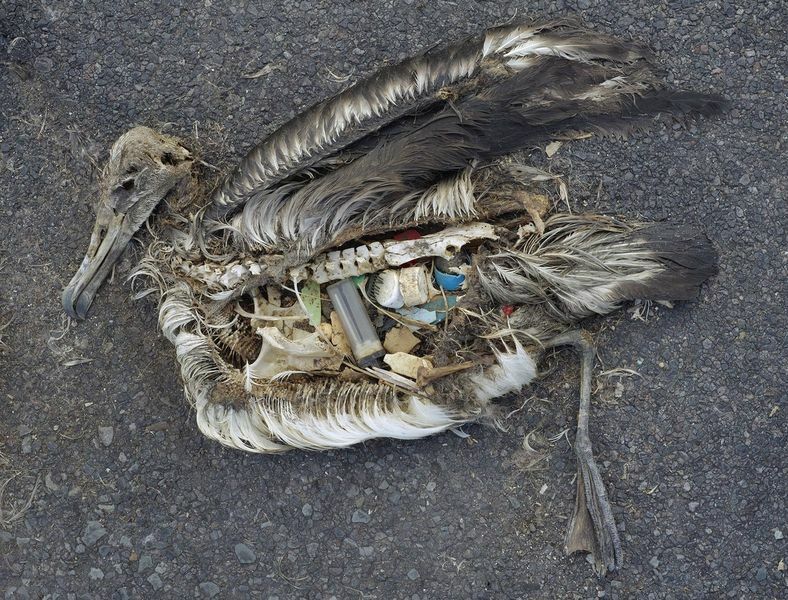 The first ones that will pay the consequences of pollution from plastics are its inhabitants. For all marine inhabitants, both large objects and microplastics are a danger. Fish, turtles, seals can get caught in large pieces of plastic or even injure and die trying to free themselves. Some die strangling as they try to swallow too large bags or debris. The microplastics, as they are very small, are swallowed without problems by many species such as fish, mollusks, crustaceans.This problem then pours on all those who feed them like predatory birds and men. Man is at risk every time he eats fish because he could inadvertently ingest plastic. 9% of plastic waste in the world is collected and recycled, especially from Europe, China and a few others. 12% becomes valuable fuel. 79%, especially in countries that don’t have collection services, is dispersed in the environment. The problem can still be solved, but we must act immediately and decisively. Production should be reduced, especially in the packaging sector, then we should reduce consumption and at the same time favor disposal and recycling. Prohibitions and limitations should be imposed on the production of useless and harmful items, starting with single-use packaging, disposable cutlery, plastic films used in supermarket packaging and plastic microspheres used in cosmetics.Then, we should increase research on materials and distribution systems to facilitate the reuse, repair, reconstruction of products and also provide more information on the composition of plastic and on the time of decomposition in the marine environment. It is also important to increase awareness among consumers to direct the market towards alternative and sustainable choices of purchases and consumption, to increase the demand for sustainable materials replacing plastics and in general to encourage a change in habits and lifestyles at the same time. In particular, it is important to convey the concept of the fight against waste and the rejection of disposable culture. Some cities, like San Francisco, Hamburg, Montreal, have banned plastic bottles. Montreal, specifically, was the first to forbid even plastic shopping bags.The ban covers the distribution of lightweight plastic totes with a thickness of less than 50 microns as well as biodegradable bags, which contain an additive that causes them to decompose in heat and light. City officials say the ban is intended to encourage people to move away from single-use products and to adopt reusable totes. Europe has not stood by and with the EU Directive 2015/720, countries have to adapt to the plastic bag legislation, with important innovations also for ultra-light totes used for bulk food that don’t meet the criteria of compostability and biodegradability. In particular, the text states that plastic bags can no longer be distributed free of charge. The new tax on biodegradable plastic totes for fruit and vegetables came into force in Italy from 1 January 2018. In all supermarkets and shops, it is no longer possible to use the usual transparent bags for fruit, vegetables and other fresh food as the use of biodegradable shopping totes has become mandatory. Each biodegradable shopping bag costs from 2 to 10 cents each and cannot be provided free of charge from the store, while it can be brought from home, but on the condition that it is new and suitable for food. Although the new law has been applied to reduce plastic consumption, in Italy some citizens consider this introduction unfair because a tax has been introduced on shopping bags, the price of which will affect households with an increase in costs of about 12 -15 euros per year per family. Fortunately, more people don’t worry about this increase, they are happy to spend a little more for the planet. A recyclable bag of a few cents is irrelevant compared to the problems of Italy and the world. Today, consumers know how much each one’s commitment is relevant to the plastics that infest the seas costs. The entry into force of environmental legislation is an act of ecological civilization, which places Italy at the forefront of the world. Can you provide your references?